We’d love your help. Let us know what’s wrong with this preview of And the Mountains Echoed by Khaled Hosseini. To ask other readers questions about And the Mountains Echoed, please sign up. which story did you like the most? Rim Souissi Never cried when reading a novel like I did with this one. Absolutely emotional, stirring and heart-warming ..
What did I think? I don't know exactly. Like his two other books, Hosseini is an excellent storyteller. He's great with words and produces images that flow like poetry. The story is touching, emotional and speaks of life's hardships and the difficult choices one must make. Deeper than that, it speaks of how the choices you make now may have a ripple effect- or echo- over time. If you don't happen to shed a tear at some point while reading, you're heartless. He captures your emotions from the ver What did I think? I don't know exactly. Like his two other books, Hosseini is an excellent storyteller. He's great with words and produces images that flow like poetry. The story is touching, emotional and speaks of life's hardships and the difficult choices one must make. Deeper than that, it speaks of how the choices you make now may have a ripple effect- or echo- over time. If you don't happen to shed a tear at some point while reading, you're heartless. He captures your emotions from the very first page and he does this very well, as he did in his other novels. You find yourself transported to 1950's Afghanistan where you smile, cry, and feel pity right alongside the unfortunate characters in this book. But Hosseini tried something different with "And The Mountains Echoed" and that was incorporating a slew of different characters as opposed to just two, like he did in his last two books, and I don't know if it worked out too well. Some people could have been mentioned in passing, or not even at all, as opposed to dedicating whole chapters to them, such as Markos and Thalia's story. Also the Bashiri cousins seemed unnecessary. Even though these characters were unique in their own way and provided food for thought regarding their plights, I still felt like these chapters dragged on when I was more concerned about what was happening with the others. It was like Hosseini deliberately sucked us in, made us get cozy with Saboor and his family just to rip them away from us and branch off onto some completely different writing exercise. As the reader, I just couldn't reshape my feelings to feel another strong connection to these new characters. Regarding the writing style, the book spanned over several generations and then spoke in the first person from the point of view of different characters from the next generation which got confusing at first, especially as he jumps between past and present and even geographical locations. Furthermore, he squeezed in yet another subplot towards the end of the book (with Iqbal and the commander) and it came off sounding short and incomplete. I feel like the author could have dedicated more pages developing and telling the story of the characters we already got to know and love in the beginning, rather than introducing new, unnecessary ones halfway through the book. This format Hosseini used left a lot of open ends and a kind of longing, leaving the reader unsatisfied. Sarah To me the whole book, every single person, somehow intertwined with Pari - had a life of "what ifs". And who can't relate to "what ifs"? Each one of u To me the whole book, every single person, somehow intertwined with Pari - had a life of "what ifs". And who can't relate to "what ifs"? Each one of us has lived moments that could have changed our path. And every story in this book is about that. And in part of a life lived longing. Again, that is part of being human. Longing. Be it small or big. And often never seeing life's longings fullfilled. Unfortunately, I have to review it because it is due back to the library tomorrow, so here comes my completely insufficient review. This book is by Khaled Hosseini. Really, what more is there to say? I knew it would be wonderful. I have to admit that the problem I ran into was that I was comparing it to his previous two books too often. And let's face it, they were amazing. And this book is incredible in its own right, too, but it's not to be compared. So, I tried to view this as its own book (which it most certainly is) and forget I had ever read the other two and that this was the first time I was experiencing Hosseini. I'm not going to recap. It would be pretty difficult to not give anything away. There are many stories within this one story. The characters are intertwined, although many will never realize that they are. The story comes full circle, but this is Mr. Khaled Hosseini, so I didn't expect a full blown happy ending. And *SPOILER ALERT*, I didn't really get one. Yes it is, Sebastian. Yes it is. What have I learned from this book? 2. Not being able to envision the surroundings - the people, the buildings, the culture, etc. I don't experience this problem with this book. The writing is so rich that I felt like I was there. My emotions reflected the emotions of the characters. I was invested. I am not ashamed to admit that I went back to chewing on my nails while reading this - a habit I gave up over a decade ago. SOMETHING BAD IS GOING TO HAPPEN!!! You would think this was an edge-of-the-seat suspense novel. It's not. But it is heartbreaking. I bet I cried no less than ten times. Granted, I cried when they showed a bear on the local news that they rescued from a telephone pole, so I cry more than the average bear (ha. ha. ha.). But it was still really heartbreaking...over and over and over because there were so many intertwined stories. Now and then, when she turned to tap ash into a saucer, I stole a quick glance at the red polish on her toenails, at the gold-tinged sheen of her shaved calves, the high arch of her foot, and always at her full, perfectly shaped breasts. There were men walking this earth, I marveled, who had touched those breasts and kissed them as they had made love to her. What was left to do in life once you had done that? Where did a man go next once he'd stood at the world's summit? I just finished this. I am emotionally drained. Review coming soon. Did...did I just read that there is a giveaway for this? SHUT THE FRONT DOOR! WHAT?! A new book by Khaled Hosseini? I can't...I just can't....I can't even think straight right now BECAUSEOHMYGOODNESSIAMSOSOSOSOSOSOSOEXCIIIIIIIIIITED!!!!!!!! Have I mentioned how EXCITED I AM!? This was my most anticipated book of all time. I couldn't wait to read and and naturally was a bit let down. My least favorite of his three. I found the voice in some of the chapters a bit awkward. The characters were interesting and well developed for the most part. I didn't like how the author chose to weave everything together. Here's something you should know about Khaled Hosseini: All his stories have more or less, the same ingredients. It always starts with Afghanistan in its pre-war days. The protagonists are children, guileless and innocent. Then the invasion happens. People separate, the bonds between them torn apart either by fate or by design. Many gut-wrenching chapters later, there's some kind of reunion but with a catch - there's something amiss, something unfulfilled, like a testimony to the unfairness of li Here's something you should know about Khaled Hosseini: All his stories have more or less, the same ingredients. It always starts with Afghanistan in its pre-war days. The protagonists are children, guileless and innocent. Then the invasion happens. People separate, the bonds between them torn apart either by fate or by design. Many gut-wrenching chapters later, there's some kind of reunion but with a catch - there's something amiss, something unfulfilled, like a testimony to the unfairness of life. To be honest, I'm not a fan of formulaic things. Yet, when it's Hosseini telling a story, I listen. I give in. I let his words curl around me like a blanket. I fall in love. And when it's all over, I clutch the book to my chest and weep like a child. Because formula or no formula, Khaled Hosseini just knows how to tell a story. He knows what to say and how to say it. It's like an art he's mastered - and no matter how many times he does it, the impact of it doesn't seem to fade. And the Mountains Echoed is an ode to siblinghood and all the joys and heartbreaks that come with it - the anguish of separation, the guilt of envy, the comfort of companionship, the burden of responsibility. Unlike his previous books, Hosseini adopts a short-story approach for this one. There are multiple narratives in multiple time-frames spread across several different countries, all connected by a common link to Afghanistan. "All my life, I have lived like an aquarium fish in the safety of a glass tank, behind a barrier as impenetrable as it has been transparent. I have been free to observe the glimmering world on the other side, to picture myself in it, if I like. But I have always been contained, hemmed in, by the hard, unyielding confines of the existence that Baba has constructed for me, at first knowingly, when I was young, and now guilelessly, now that he is fading day by day. I think I have grown accustomed to the glass and am terrified that when it breaks, when I am alone, I will spill out into the wide open unknown and flop around, helpless, lost, gasping for breath." And the Mountains Echoed was one of my most anticipated books this year and it did not disappoint. That being said, it pales in comparison to his previous works - The Kite Runner and A Thousand Splendid Suns. Maybe it was the multiple POV thing. With so many characters and so many stories, it's inevitable that some would hit harder than the rest. Personally, I found the first half more emotionally striking - Abdullah, Nabi and Parwana's stories all made me tear up. I missed Afghanistan in the later segments. 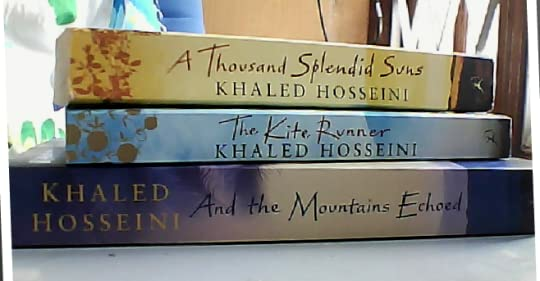 And in case it wasn't obvious enough, I just wanted to say that I love Khaled Hosseini. If it weren't for him, I would have foolishly associated Afghanistan with just the Taliban. It's shocking how little I know about this country even though it's so close to mine. The tale of how my father lost his sister was as familiar to me as the stories my mother had told me of the Prophet, tales I would learn again later when my parents would enroll me in Sunday school at a mosque in Hayward. Still, despite the familiarity, each night I asked to hear Pari’s story again, caught in the pull of its gravity. Maybe it was simply because we shared a name. Maybe that was why I sensed a connection between us, dim, enfolded in mystery, real nonetheless. But it was more than that. I felt touched by her, like I too had been marked by what had happened to her. We were interlocked, I sensed, through some unseen order in ways I couldn’t wholly understand, linked beyond our names, beyond familial ties, as if, together, we completed a puzzle. I felt certain that if I listened closely enough to her story, I would discover something revealed about myself. In the opening chapter of And the Mountains Echoed, a poor father tells his children a story. A monster ravished a town until a child was offered to appease him. In order to save the rest of his family and the town, a father sacrifices his favorite child to the monster. Years later, unable to recover from the sorrow of this decision, the father scales a mountain to reach the monster’s fortress, seeking to bring his son home. But, finding that the boy is happy, well-fed, clothed and educated, he reconsiders. In this story is the core of the tales to come. Hosseini writes of the bond between parents and children, and the sacrifices some parents make to see that their children are well looked after. Does the benefit of a more comfortable home, a richer material upbringing, outweigh the loss of that natural parent-child experience? The theme of parenting, with complications well beyond the keep-or-send-away element, permeates. The son of a wealthy local big-shot comes to realize that his comforts come at the expense of others. A massively scarred girl is left by her mother in the care of someone who is probably better suited to raise her. A young woman sacrifices years of her life to take care of an ailing parent. A war-ravaged child is taken in by one of her caregivers. I am forever drawn to family as a recurring central theme of my writing. My earlier novels were at heart tales of fatherhood and motherhood. My new novel is a multi-generational family story as well, this time revolving around brothers and sisters, and the ways in which they love, wound, betray, honor, and sacrifice for each other. There are sibling issues galore here. 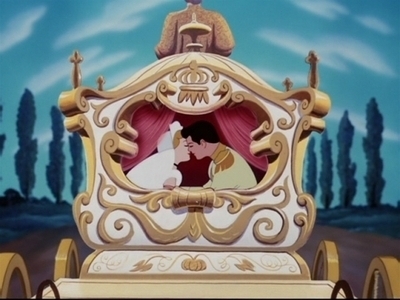 An ugly duckling twin gets revenge on the favored twin, but takes on a considerable burden. A brother and sister who were very close, are torn apart at an early age, and must cope with the absence, of that missing other part of themselves. Friendships that seem more like sibling-hood sprout like poppies in Helmand. A Greek boy is joined by the daughter of his mother’s best friend. She remains longer than expected. A fast, but fragile friendship forms between a rich boy in Afghanistan and the son of a poor man. The cast here is international, as is the selection of settings. Hosseini was born in Kabul, but, as his father was an ambassador, he was exposed to the wider world. Dad was posted in Paris when the Soviets invaded Afghanistan. Hosseini’s time in France informs the parts of the book that are set there. Eventually his family immigrated to the USA, taking up residence in California, another site in the novel. He has visited his homeland since growing up in the West, like émigrés we meet in these pages. One Afghani emigrant struggles with the tension between remaining connected to his homeland, in a very concrete way, or maintaining his separation. How much responsibility for dealing with Afghanistan’s problems lies with those who have moved away? Hosseini, best-selling author of The Kite Runner and A Thousand Splendid Suns returns us to a world, or rather worlds that we have seen before, a harsh Afghanistan as the emotional and table-setting core, and western locales in which are echoed the events of the old world. One of the points Hosseini makes here is the commonality of East and West, despite outward differences. He mirrors many of his characters’ experiences. People sacrifice themselves to care for those in need of help in both places. Parents are no less stressed in the West than in the East in terms of struggling with decisions about their children. Pain is too much for some in both worlds. In both worlds there are characters who cannot face their futures and opt out. In both worlds young people sacrifice themselves to care for others. In both worlds there are characters who are seriously damaged physically and must cope with adapting to worlds that value beauty or at the very least normalcy. In both worlds parents give up their children. We really are the same beneath our cultures and histories. I do not have a comparative character count here, but it was my sense that this was a larger book than his first two. Each of those focused mostly on a smaller group of actors. This time it seemed there was more of an ensemble cast, in multiple stories. The links between some of the elements were a bit tenuous, as if a short story that was lying around was modified enough to serve a purpose in this larger tale and inserted. It is a large landscape and I felt that on occasion we wandered too long away from some of the primary characters, maybe lost some parts of their lives. To compensate for this, when we get back to them, we are offered a reader’s digest condensed report of what has happened since last we checked in. This created a bit of distance. That said, there is vast world of feeling here. Not only the agony of parents who feel they must give up their children, but the pain of other sundered familial connections as well. There are deep scars of guilt for terrible acts, and the pain of love denied. There is also joy in finding a kind of love where hope was slight, in reconnecting with those long lost, with saving and being saved. The echoes in the mountains are the sounds of tears, of both anguish and joy, universal, penetrating, human. Listen. Within the first few pages of this book, the reader knows s/he’s in the hands of a master storyteller. In a village in rural Afghanistan, mid 1940s, a father tells a folk tale to his two young children. On the next day, they will travel to Kabul and start a chain of events that will take the reader on a journey across the world and through the decades. The novel is made up of a series of linked and interlinked stories about members of this one family, their descendants and people whose lives they touch. Hosseini takes us back and forwards in time but each episode tells a whole story of one of the characters. This made the book feel in some ways like a collection of short stories rather than a novel, but Hosseini brings us round in a perfect circle and the last few chapters bring all these disparate episodes into one immensely moving whole. The beauty of the writing is only matched by the humanity of the characters. Hosseini takes us inside their minds and their hearts and we see them laid bare, essentially good people but with their flaws and weaknesses exposed, to us and to themselves. Although much of the book takes place in Europe and America, Afghanistan remains at the heart of it because it remains in the hearts of the characters, even though they may have become part of the war- and poverty-driven diaspora. A beautiful and very moving book that brought me to tears on several occasions, this isn’t fundamentally about politics or war; it is about the unforgettable people who populate its pages – about humanity. And though there is sadness and sorrow here, there is also love and joy and a deep sense of hope. Highly recommended. I finished reading this book on May 24, but did not write a review because I didn't want to taint the experience for many of my friends who had not yet read the book. Since then I've seen several people post where they've finished the book and how much they loved it. Unfortunately I did not love it. I was highly disappointed in this book, it was not at all what I expected. I wanted the richness of the culture, I wanted to immerse myself in the feelings and experiences of the people who live a li I finished reading this book on May 24, but did not write a review because I didn't want to taint the experience for many of my friends who had not yet read the book. Since then I've seen several people post where they've finished the book and how much they loved it. Unfortunately I did not love it. I was highly disappointed in this book, it was not at all what I expected. I wanted the richness of the culture, I wanted to immerse myself in the feelings and experiences of the people who live a life so totally different from anything I've experienced. But I just did not get that feeling from this book. I loved the first one third, I loved the ending, but most of the middle of the book just didn't grab me. There was way too much jumping around with the characters, and everything just moved too fast-forward in time. All the characters got old too quickly. Perhaps because I had read his other 2 books and loved them so much, I was expecting something more similar to those. I wanted the entire story to be about Pari and Abdullah and their families, to me they ARE the story, way too much time was spent with what I considered unimportant characters and their lives. Doesn't Hosseini know his stories shouldn't be about internet, television, and airplanes?? He does so well with the culture of his country, and the traditions that form it, that's what I wanted from this book but it just wasn't there. Oh that felt like blasphemy to type, but I’ve gotta be honest here. I loved The Kite Runner and A Thousand Splendid Suns, but Hosseini just missed the mark with this one. The story begins with a father telling his children a fable of an evil div (monster) who roamed various villages and would choose a home at random. Said home would have to sacrifice one of their children, or the div would kill as many as he pleased. The father in the story is beside himself with the idea of offering one of his children to be slaughtered. That tale seems so fitting, because I can picture Hosseini at the editing table going through the same process. However, rather than opting to cull one (or a few) of the massive amounts of characters/stories in this book that were barely connected – he opted to keep them all. Unfortunately, that meant the ultimate sacrifice was my enjoyment. Too many characters – many with stories not long enough to actually to get invested in their lives. I’m sad that I had to type that. وراء الأفكار .. عن الحق والباطل . يمكنني القول ان هذا الكتاب يختلف عن أسلوب الحسيني في عداء الطائرة الورقية ويمكنني القول انني افضل اسلوبه في عداء الطائرة الورقية على ورددت الجبال الصدى ,اختار الحسيني تجنب التركيز على أي شخصية بعينها. بل كتب الكتاب بأسلوب شبيه بمجموعة من القصص القصيرة حيث ترى ان اغلب الفصول مروية من وجهة نظر شخصية مختلفة. بني الكتاب على أساس العلاقة بين "عبد الله" ذي الأعوام العشرة وشقيقته "باري" ذات الأعوام الثلاثة والقرار الذي اتخذه والدهما وفرقهما عن بعض ، هذا هو الحدث الذي يربط القصص المختلفة معاً. يقول الحسيني أن نواياه كانت جعل الشخصيات أكثر تعقيداً وغموضاً من الناحية الأخلاقية. كانت باري الشخص الوحيد في العالم الذي لن يؤذيه ولن يستطيع ان يؤذيه ابدًا ,ف بعض الأيام. كان عبد الله يشعر أنها عائلته الحقيقية الوحيدة وليس سواها. يقسم حسيني روايته إلى تسعة فصول يروي كلاً منها أحد الأبطال أو يُروى عنه ليكون هو محور أحداثه ونتعرف إلى سائر الشخصيات من خلال العلاقات التي تربطهم به. يتنقل الكاتب بسلاسة بين أزمنة وأمكنة مختلفة، إذ تدور أحداث الرواية على مدى عقود طويلة في بلدان متنوعة، منها أفغانستان وأميركا وفرنسا واليونان. A pebble thrown in a pool of water creates ripples; never just one, but countless of them. This is what this story is all about. An uncle’s suggestion led to a father’s decision, and there was no stopping what happened afterwards. The ripples were so vast it looked almost impossible to trace back to the central plop that the pebble created; but secrets are meant to be revealed, truths are meant to be uncovered. The story played out through many decades in at least five countries among a myriad o A pebble thrown in a pool of water creates ripples; never just one, but countless of them. This is what this story is all about. An uncle’s suggestion led to a father’s decision, and there was no stopping what happened afterwards. The ripples were so vast it looked almost impossible to trace back to the central plop that the pebble created; but secrets are meant to be revealed, truths are meant to be uncovered. The story played out through many decades in at least five countries among a myriad of characters, and yet not once did I feel lost or confused while reading it. I feel for Abdullah and Pari, and I am glad that somehow there was redemption for them at the end, even if one can say that it was not too complete because of Abdullah’s condition. Another masterpiece from Mr. Hosseini, and may I say that in this third novel, he put the notch for himself much higher that it should be an exciting wait for the next one. You know how you hate when a good book ends? You know you have to keep reading, reading, reading because you just can't stop and yet you are ever so mad when the book does just that? You know how you feel like wow! how can I find another like this, a book as good, a book as well written, a book that has touched you in so many places? This is one of those books. Mr Hosseini has written a brilliant novel which is about family, its importance, its closeness even though one is continents away, and i You know how you hate when a good book ends? You know you have to keep reading, reading, reading because you just can't stop and yet you are ever so mad when the book does just that? You know how you feel like wow! how can I find another like this, a book as good, a book as well written, a book that has touched you in so many places? This is one of those books. Mr Hosseini has written a brilliant novel which is about family, its importance, its closeness even though one is continents away, and its ability to love through the years and separation. AS I was nearing the end, I had to think how this could have been anyone's story. Separated because of poverty, uprooted because of conflict, this family beset by many tragedies pushes forward. They reconnect and reunite in a future that looks to be bright and loving every bit as loving as that love which transpired between a brother and a sister so very long ago. This author has definitely a kindred mind with the human spirit. He speaks so well of people, making the reader get to know his characters on so many levels. He is a gifted storyteller and one who makes the pages fly as the thoughts of things held dear become a focus of one's life. He is able to see and portray so well that one's past can and often does have repercussions long after the incidents of life have intruded and that perhaps in reality it is through one's family that you can go home again even though Thomas Wolfe might disagree. One terrific novel. Great to know: the page-turning literary novel is alive & well in the 2010's! Wholeheartedly recommended to me by my pal Segen, & I in turn also wanna do the same. 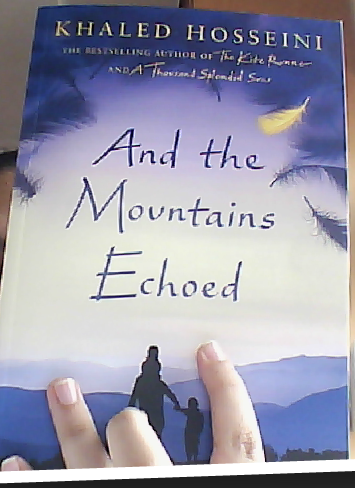 And the Mountains Echoed is the third novel by Afghan-American author Khaled Hosseini. Published in 2013. The book's foundation is built on the relationship between ten-year-old Abdullah and his three-year-old sister Pari and their father's decision to sell her to a childless couple in Kabul, an event that ties the various narratives together. Seeing this review and 66 likes makes me smile..
After all the excitements and waiting, I practically ruined this book by trying to read it when I was not fit for reading. OH well, I can add another thing to my ever growing long list of regr OMG..! OMG..! OH well, I can add another thing to my ever growing long list of regrets and things that I could have done "not Wrong'. Review to come..! This book deserves some words from me. This is a difficult book to review. Hosseini is a good storyteller, but I have the same complaint about this book as I did with The Kite Runner, which is that they are too precious. As in, roll-your-eyes, on-the-nose precious. But before I focus on the negative, let me share the positive: This is an impressive story that spans generations and continents. Each chapter is told from a different character's point of view, and each section builds on the events that have come before, and by the end we This is a difficult book to review. Hosseini is a good storyteller, but I have the same complaint about this book as I did with The Kite Runner, which is that they are too precious. As in, roll-your-eyes, on-the-nose precious. But before I focus on the negative, let me share the positive: This is an impressive story that spans generations and continents. Each chapter is told from a different character's point of view, and each section builds on the events that have come before, and by the end we have covered more than 60 years of a family's story. The book opens with a legend about a giant who would go to a village and demand a child be sacrificed to him. A father was forced to give up his favorite son, and he was so heartbroken and upset that he later left the village to try and retrieve him from the giant. But when he arrived at the giant's house after many days of walking, he saw that his son was happy and was living a better life than he could have provided. The giant takes pity on the father and gives him a potion to help him forget his son. But did the father ever really forget? The meaning of this legend is soon made evident when we meet a boy, Abdullah, who is forced to say goodbye to his beloved sister, Pari, who is being sent to Kabul to be adopted. In the next chapter we meet the woman who will become Abdullah's stepmother, then we meet Abdullah's uncle, then we meet some cousins who used to be neighbors of the uncle... and so on, and so on. There are many good moments in the book, such as when a character recognizes their selfishness and vows to do better. Or when relatives have been reunited after a long separation because of the war. And as the story unfolds, we must ask if Pari was better off being adopted, or should she have stayed with her family in the village? Damn, And the Mountains Echoed made me cry. I just finished it. Gosh, why did it upset me so much?! And will others react as I have? Is it just stupid me? I can point at a million things that are wrong with the book....and yet, it has done something right since it has undeniably moved me. Rarely do books make me cry. I will start with what is simple, but very important. This is the first book I have listened to where I would advise Damn, And the Mountains Echoed made me cry. I just finished it. Gosh, why did it upset me so much?! And will others react as I have? Is it just stupid me? I can point at a million things that are wrong with the book....and yet, it has done something right since it has undeniably moved me. Rarely do books make me cry. I will start with what is simple, but very important. This is the first book I have listened to where I would advise very strongly that you read the paper book rather than listen to the audio version. There are three narrators: the author (Khaled Hosseini), a woman (Shohreh Aghdashloo) and a second male narrator (Navid Negahban). The latter two slur English words to such an extent that you must decipher what is being said by the context of the words. Cheek sounds like chick; swim sounds like "sweem"; breeze sounds like bees; words sounds like wards; shut sounds like shot; launches sounds like lunches. Must I go on? The woman's voice is so muted that you must increase the volume. I liked Hosseini's reading of the introductory fairy tale, but then later he enunciates every darn letter. Quite simply, the narration is unprofessional. Furthermore, why in the world have they even bothered to use three different narrators? The book shifts to different locations around the world - France, Greece and the US. I would have preferred three narrators: one fluent in French, one in Greek and one in American, or just one narrator that speaks fluent English. They all spoke what I think was meant to be English with an Afghan accent; let's just say poor English. Some of the characters lived in France since their early youth. The narration is so poor that it detracts from one's appreciation of the author's words. Read the paper book! This book is about an Afghan family, starting at the end of the 40s and ending a decade into the 21st Century. It is about the how the 20th Century has split families. It isn't unusual today to find members of one family spread all over the world. What does this do to us? And what is the essence of family....if we do not live near each other and if we do not have daily contact, hands on contact. Are we still bound to each other? Does family remain family? The book begins with a bedtime story, which is as I originally thought the central message of the entire book. So pay attention. The beginning is also the best part of the book, because there in the beginning you most intimately rub shoulders with the main characters. These characters will have children and grandchildren and spouses and friends and you never really come to know them as you do the first ones. The central theme of the book IS based on the choices that are made by the first characters we meet. Later chapters deal with one family and then another family or friend. They can almost be seen as separate stories, but yes they do all come together at the end. The problem is that the book does not succeed in bringing all of these diverse stories to life. Neither are all the different places brought to life. Afghanistan was well portrayed, but not Paris, not California, not Greece! The book tries to do too much. Or is it that Hosseini has best captured that which he knows best? I will credit him in his attempt to show what happens to "family" in today's globalized world. Khaled Hosseini kills me. His writing seems to wound me as I'm reading his books. I remember when I read the Kite Runner I had to stop for a week or so to psyche myself up to finish it because it made me so sad. (I think I must be getting soft in my old age.) His writing rides a raw edge between nostalgia and pain: you don't want bad things to happen to his characters because they are already deeply wounded by circumstance. But then another part of me gets inspired to write when I read his work. Khaled Hosseini kills me. His writing seems to wound me as I'm reading his books. I remember when I read the Kite Runner I had to stop for a week or so to psyche myself up to finish it because it made me so sad. (I think I must be getting soft in my old age.) His writing rides a raw edge between nostalgia and pain: you don't want bad things to happen to his characters because they are already deeply wounded by circumstance. But then another part of me gets inspired to write when I read his work. I love how he gently handles these flawed, vulnerable creatures. They are pummeled and worked over again and again, but at the same time they are also luminescent with authenticity. This is my biggest disappointment with a book of all time, purely because Khaled Hosseini is one of my favourite authors. I loved his two previous books, “The Kite Runner” and “A Thousand Splendid Suns” but somehow I couldn’t get interested in the same way I did with his previous books. They both had so much depth. I think the fact that I lived in Saudi Arabia for many years possibly helped in that I could relate to them the way I did. But this book, well I found it to be “long winded” and not to This is my biggest disappointment with a book of all time, purely because Khaled Hosseini is one of my favourite authors. I loved his two previous books, “The Kite Runner” and “A Thousand Splendid Suns” but somehow I couldn’t get interested in the same way I did with his previous books. They both had so much depth. I think the fact that I lived in Saudi Arabia for many years possibly helped in that I could relate to them the way I did. But this book, well I found it to be “long winded” and not to my satisfaction at all and consequently I did skim read to my shame. The first chapter was excellent about Baba Ayub and the div. The choice that he had to make seemed to form the basis for the rest of the book. The hardback looked the part but something was missing from this book. In my mind, it had no soul. I will, of course, read his next book but I wonder whether in fact he “has been there, done Afghanistan” and needs to move on to fresh pastures? He is a wonderful storyteller and perhaps pressures from the publishing world caused him to write in this particular convoluted way? I don’t know but nevertheless I look forward to reading his next book. Aim: To write a review of the book. Reason: Mind full of emotions but out of words. 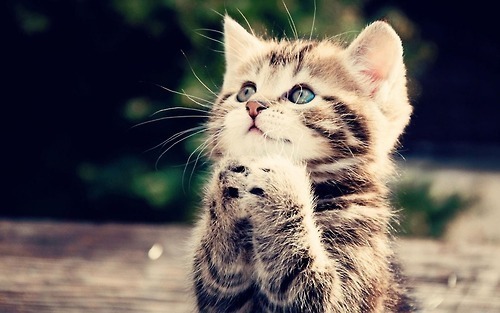 Conclusion: I will be left like this each and every time I read a book written by Khaled Hosseini. Hosseini is a 'magician' who captures your mind with the simple tricks of powerful words and leaves you weeping silently but gifts you with a beautiful yet sad feeling. This time he has come up with an intriguing story of the siblings, Pari and Abdullah. The story may not be so special as The Kite Runner but the love the brother and the little sister share is unique. All I want to do now is thank Mr. Hosseini for giving me the character of Abdullah with whom I can share so many feelings. The bitter-sweet longings I felt years ago when my sister left home for college, all came rushing back when Pari was taken away from poor little Abdullah. This has probably been my most anticipated new release for a very long time. Like many people, I was totally awestruck by Hosseini's first novel The Kite Runner. His second; A Thousand Splendid Suns is up there in my Top Five Books, I was astounded by the story. Bearing this in mind, and despite my delight at acquiring a pre-publication copy of And The Mountains Echoed, I was a little nervous that I may be a little disappointed. Khaled Hosseini's fans do have to wait a long time between books, it This has probably been my most anticipated new release for a very long time. Like many people, I was totally awestruck by Hosseini's first novel The Kite Runner. His second; A Thousand Splendid Suns is up there in my Top Five Books, I was astounded by the story. Bearing this in mind, and despite my delight at acquiring a pre-publication copy of And The Mountains Echoed, I was a little nervous that I may be a little disappointed. Khaled Hosseini's fans do have to wait a long time between books, its been five years since A Thousand Splendid Suns. I can truthfully say that this is certainly worth that very very long wait. This is a story that spans generations, yet starts and finishes with the same characters. In 1952 a father and his two young children are travelling across Afghanistan, father has been promised some much needed work. The children; Abdullah and his little sister Pari are happy to be together, they adore each other and Abdullah has become more of a parent than a brother to Pari. When their mother died just after giving birth to Pari and then their father re-married and new half-siblings joined the family, Abdullah took on the protection and care of Pari. Neither of them can know that this journey will be the beginning of heartbreak that will stay with them for the rest of their lives. With heart-breaking realism, Hosseini tells the tale of a family split apart by poverty and desperation. From the small rural villages to the large bustling cities of Afghanistan, the writing transports the reader into the heart of the story, experiencing the sounds, the smells and the changing political landscapes. From immense poverty, to the greatest riches. From the modest and humble, to the arrogant and the proud, the cast of characters are a triumph. That one event in Kabul in 1952 leads on to many others, including characters and settings from Paris, to the Greek Islands and back to Afghanistan. Characters who appear, on the face of it, to be so different and so diverse are all connected in one way or another to the day that a loving father told his two small children the story of farmer Baba Ayub - it is this story, and its meaning that is threaded through the whole novel and which eventually turns from a fable to the truth. Whilst And The Mountains Echoed does not have the shock-factor of Hosseini's two previous novels, it is still a very important epic story that will leave a mark on anyone who reads it. The cast of characters is huge and the narrative often slips back and forward, which can at times, appear a little disjointed. However, this really does not detract from the story, or from the wonderfully evocative writing. Once again, Khaled Hosseini has produced a story that will break hearts and leave his fans, new and old, gasping for more. There are always a few things to keep in mind when delving into a Khaled Hosseini novel. First, and most important, is that you WILL have your heart broken, at least once, probably multiple times, and most likely within the first few pages. Second, Mr. Hosseini does not deal in neatly wrapped-up endings redolent of "Happily Ever After." His stories are more complicated than that; there's no instant gratification of happy, fulfilled characters riding off into the sunset, but the overall result is There are always a few things to keep in mind when delving into a Khaled Hosseini novel. First, and most important, is that you WILL have your heart broken, at least once, probably multiple times, and most likely within the first few pages. Second, Mr. Hosseini does not deal in neatly wrapped-up endings redolent of "Happily Ever After." His stories are more complicated than that; there's no instant gratification of happy, fulfilled characters riding off into the sunset, but the overall result is far more satisfying, and far more real. Out beyond ideas of wrongdoing and rightdoing, there is a field. I'll meet you there. - JELALUDDIN RUMI, 13th century. From Afghanistan to Paris, to the Greek Islands to America, this story of three children from one father (two different mothers), born in the small village of Shadbagh in Afghanistan, winds its way through love, loyalty, happiness, heartbreak, war, peace and basically a thousand tragedies per square mile. Abdullah, Pari and their stepbrother Iqbal are the innocent children of a poor, but proud man. They are destined to roam the earth after their father had to make a heartbreaking decision. The title of the book is based on the famous family poem of William Blake, which was published in Songs of Innocence in 1789. In retrospection I am of the opinion that there is more of this poem embedded in the story than only the inspiration in its title. The prose in the book was as gripping as ever. Parwana, the stepmother, had a twin sister, Masooma, with a beauty that blistered the eyes. (view spoiler)["She interrupted conversations midsentence, smokers mid-drag. She was the trembler of knees, the spiller of teacups. Some days it was all too much for Masooma. In comparison to Masooma, Parwana was shuffling next to her, with her flat chest and sallow complexion. Her frizzy hair, her heavy, mournful face, and her thick wrists and masculine shoulders. A pathetic shadow, torn between her envy and the thrill of being seen with Masooma, sharing in the attention as a weed would, lapping up water meant for the lily upstream. The African expression, It takes a village to raise one child could have been true in the case of these three children, if it wasn't for politics, wars, and toxic family relationships destroying the lives of not only this family, but also an entire country and its people. In the case of Afghanistan it would ultimately take the world to raise these children, inside or outside the country. The first half of the book was mesmerizing and true to Khaled Hosseini's oevre. However, as the story unfolded, spanning over several decades, as well as several generations, and more and more characters made their appearance in the book, the magic disappeared from the face of the prose. It was a huge disappointment after waiting so many months to finally read the book. I felt more sad about the derailing of my high expectations, than I felt about the numerous characters in numerous countries getting dumped on the plot. The prose is still magical. The first half of the book was a joyful celebration of a master wordsmith at work. Beauty is an enormous, unmerited gift given randomly, stupidly. How true these words turned out to be in the end. I will always admire Khaled Hosseini's work, and I will remain a fan, but this book was not one of the highlights. Having been a fan of Khaled Hosseini's first two books--even before they were published--I am delighted to say that this book may be his best one yet! It's a heart-felt, multi-generational tale that combines many characters and storylines...each one more gut wrenching than the last. I read most of this book in a perpetual state of goosebumps, and the last 20 pages with tears streaming down my face. 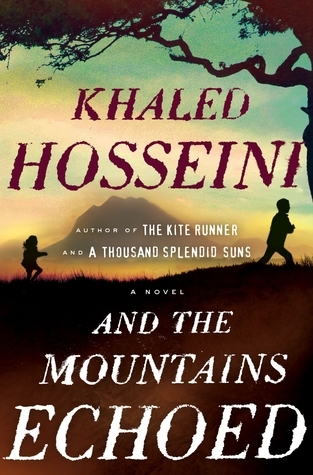 And the Mountains Echoed--far more complex and multi-layered than his prior two novels--proves that Having been a fan of Khaled Hosseini's first two books--even before they were published--I am delighted to say that this book may be his best one yet! It's a heart-felt, multi-generational tale that combines many characters and storylines...each one more gut wrenching than the last. I read most of this book in a perpetual state of goosebumps, and the last 20 pages with tears streaming down my face. Recommends it for: People who like Books that live. Alright, time, fined me some free time to read this. Today, 17/5/2013. 3:22 pm/ 15:22 hrs. I'm done with this book.